One of the churches that we have always loved to shoot in is the Church of Our Mother of Perpetual Help in Ipoh Garden. The church's interior is rather classic with challenging lighting situations and of course, the certain rules for the photographer who wants to use flash. Then again, our job is to shoot the moments and we have to tackle these challenges head on without the rules breaking our spirit. Since we are professional photographers doing our job, we cannot tell our clients the situation does not permit us to be at our best. We have to make do with whatever situations that comes to us and able to deliver as well. One thing about weddings, there has never been a wedding that is the same and these are the things that spurs us further and gives us the adrenalin push to achieve higher. We here at Jet Fynn Photography thrives on these challenges and our team are ever ready to serve no matter what the situations that come may. 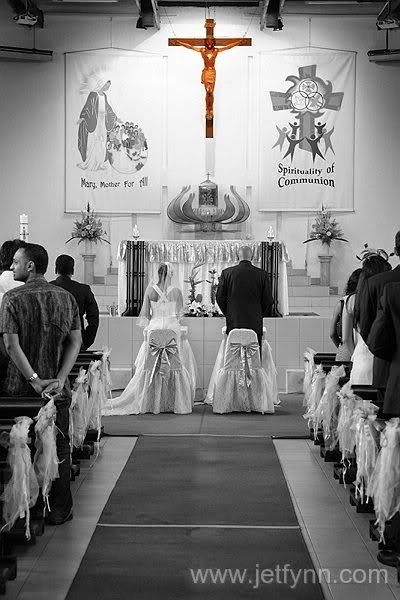 Here's a wedding photo taken at Church of Our Mother of Perpetual Help. Ipoh from our archives. 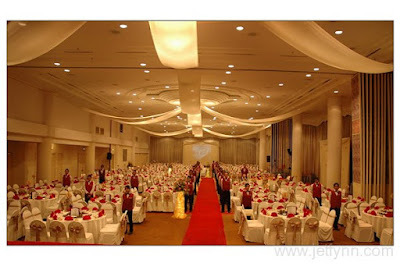 Call us at 016 - 523 0161 for more details if you have a wedding that requires our help.